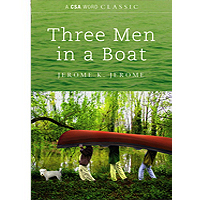 Three Men in a Boat is one of those books you've always heard of but never read. I was drawn to this book after reading `Boogie up the River' by Mark Wallington, a somewhat modern version of the original classic. The humour is absolutely ageless despite written over a century ago. A part of you almost wants to join in with larking around on the Thames. Firstly, I should point out in all honesty that at times in this free edition some of the paragraphs seem to start out with a couple of words that describe what the paragraph is about. When you start to read a paragraph like this, then just skip to the next word starting with a capital letter, and you will be okay. Apart from this there is no other gripe about this edition, it is all here in its full comic glory. 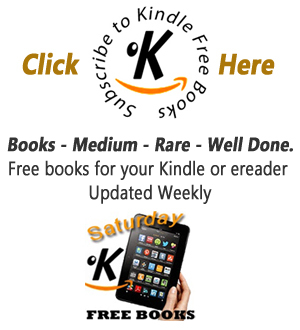 First published in 1899 this met with bad and indifferent reviews, but the public just couldn't stop buying it. I think most people must be aware of the story but for those who aren't basically it is this. The narrator and two friends, plus a dog decide to take a boating holiday upon the Thames. This is their story, about what happens, and problems that they have; also it is in parts a travelogue, as well as being full of comic asides and anecdotes. Despite its small size there is just so much inside the pages of this. I first had to read part of this at school, when we were doing anecdotes, but I just had to buy the full book for myself. Since then I have read it countless times, and suggested it to others, and so far I haven't found anyone who doesn't like it. We all love to have a laugh, and you can't go wrong with this book.